Get the Camelot wow factor. 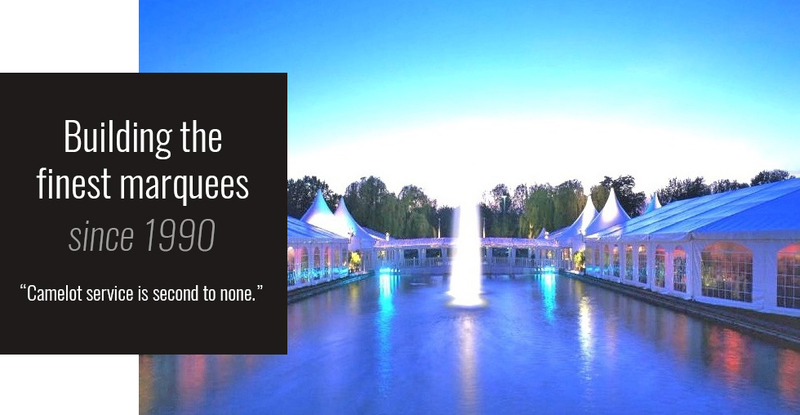 Camelot professional crews will deliver and install a beautiful Marquee with everything you need to go with it (furniture, lighting, power, luxury toilets, coldrooms). Camelot makes your event simple and stress free. Debbie, Ian and their team were an absolute pleasure, so professional and organised. The marquees we hired for our wedding were spotless and looked amazing. The team were so helpful in the lead up to the big day, making it as stress free as possible. We would highly recommend Camelot Marquees!